Talent Acquisition Attract top talent and convert candidates into applicants. Engage Employees Improve daily processes with smarter technology solutions. Empower Your Organization Create a digital work experience that unlocks your organization's potential. Student Digital Experience Drive student success with a better digital experience. Find out how you can teach your existing HCM applications some new tricks by joining InFlight at this year’s HR Technology Conference in Las Vegas. Stop by Booth 2941 and see how the InFlight HCM User Experience Platform can enhance your HR applications so they are modern, mobile-optimized, and as easy-to-use as the best apps on your smartphone. Drop by Booth 2941 to see employee self-service and manager self-service demos, brand new HR portal user experiences, and how to create an effortless candidate experience with your applicant tracking system. 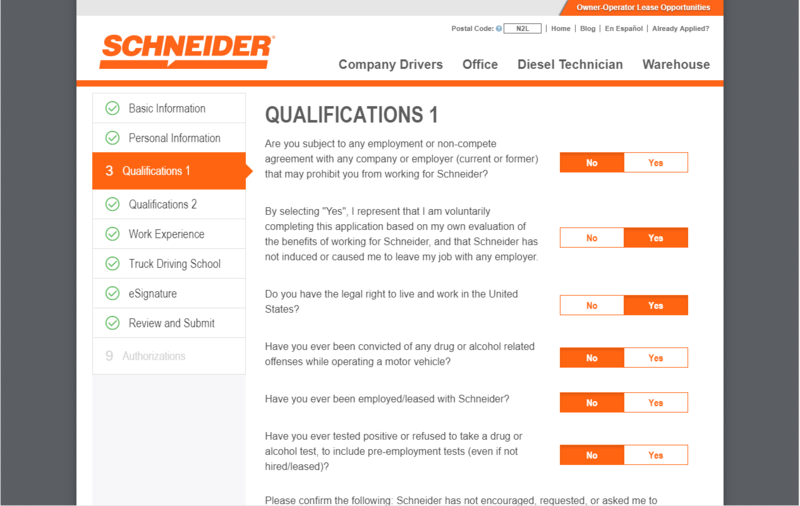 InFlight helped Schneider National maximize their applicant conversion through their candidate funnel by creating a streamlined and user-friendly apply process. By eliminating up-front user registration and providing custom entry and exit points in their Taleo apply process, Schneider National was able to remove typical pain points for candidates and provide a truly modernized apply process. Many other world-class brands have chosen InFlight to improve the apply flow of their existing ATS systems and career sites. Stop by the booth and ask us about Hyatt Global, Cox Enterprises, and American Tower. If you’re using Taleo, iCIMS, SuccessFactors, BrassRing, or any other ATS, and your organization struggles with a high drop-off rate and low candidate conversion, we can help. InFlight eliminates poor mobile responsiveness and the jarring hand-off between your careers site and ATS apply pages to provide a seamless candidate experience. Check out our Infographic for some candidate pain points that InFlight can solve. Interested in Meeting with Us at This Year’s HR Technology Conference? Call 1-800-853-7505, email sales@inflightintegration.com, or visit us online at www.inflightintegration.com. HR self-service apps, including Benefits Enrollment, time entry, payroll and tax, personal information, and more. InFlight eliminates the need to migrate to a new HR system to get updated capabilities, mobile apps and a modern UX, so customers can stay on PeopleSoft, Taleo, etc. InFlight requires no changes or upgrades to target systems. Our hands-off approach honors the existing security, customizations and business logic of your underlying applications. InFlight is cloud-based and is “hands-off” your enterprise software. All your data remains in the system of record.